Have you ever been in a situation where you required a dentist immediately, only to call and learn that the office is closed or on vacation? 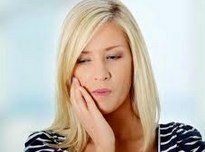 It’s extremely frustrating and all you want is for the tooth pain to be alleviated. Or, maybe the tooth doesn’t hurt, but a crown or bridge came off, your tongue is sore from the jagged edges of a broken tooth, or maybe your child requires the attention of a dentist? Whatever the dental emergency is, rest assured that you can contact us regarding your emergency dental needs. That’s exactly what you get with Dr. Oliveira — peace of mind.